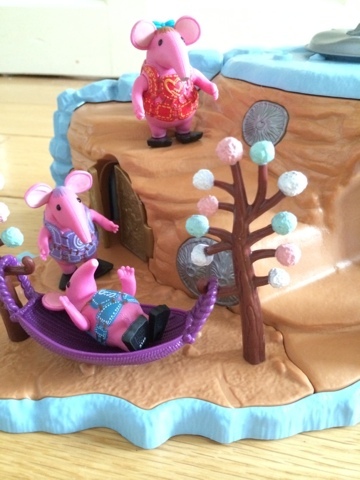 I have to admit, I do have a soft spot for the Clangers - my children play with my old and retro plush Clanger! 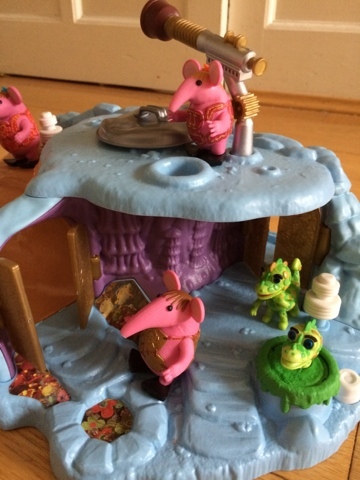 so when I was asked if I'd like to review the the Clangers Home Planet playset from Character - I was super chuffed! I also received a figures family pack too. 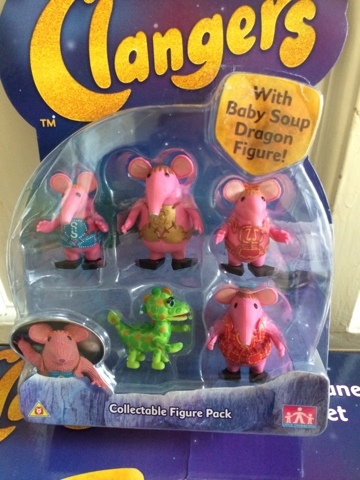 The Family Figure set even includes baby soup dragon - other figure packs are available too. The Home Planet plates comes with Granny who really loves the swinging hammock! 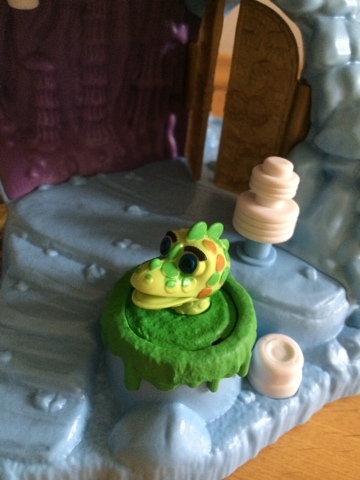 Soup dragon pops up with a push of the button! There's lots of doors which open, hidyholes, steps and caves to play in and the garden area is super cute. 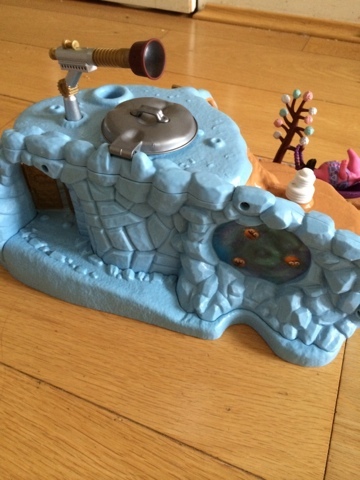 The dustbin lid opens up to reveal an exciting tunnel slide for the Clangers to slide down! Wheee! 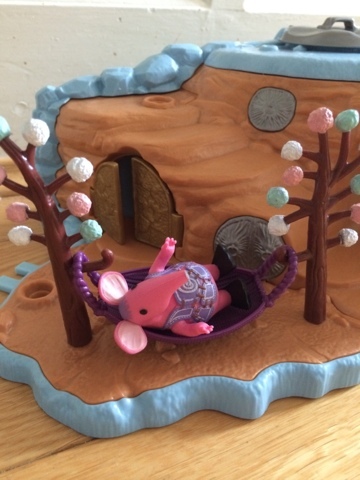 The Home Planet is double sided and includes things such as a dock for the musical boat (available separately) Each Clangers family member figure has poseable arms. Love the bobble trees and all the small details on this planet - there's plenty of interest here to keep little ones playing and fuel their imaginations. 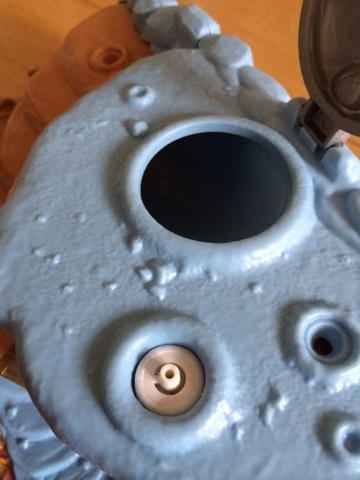 There are 3 different locations to place the telescope so you can see the whole galaxy from your Home Planet. 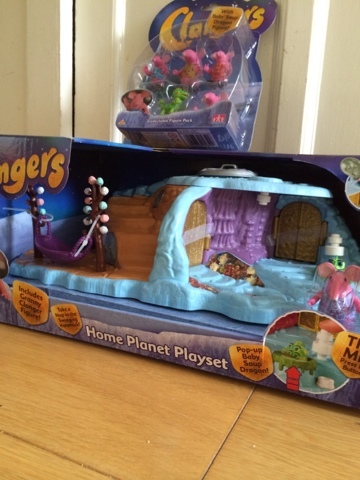 Clangers Home Planet Playset and Clangers Family Pack are available from Character. Never mind the kids, I love this one! especially the baby soup dragon! 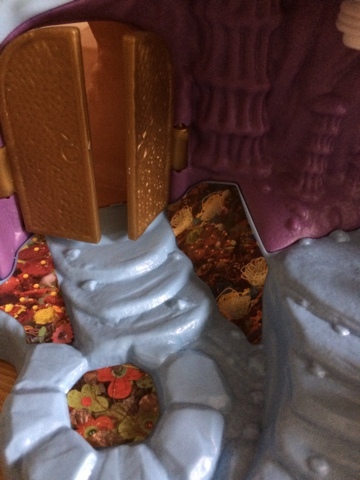 Disclaimer - I received the Clangers Home Planet and Family Pack for the point of this review - all images, thought, words and link choices are my own, and yes I really do love this playset!